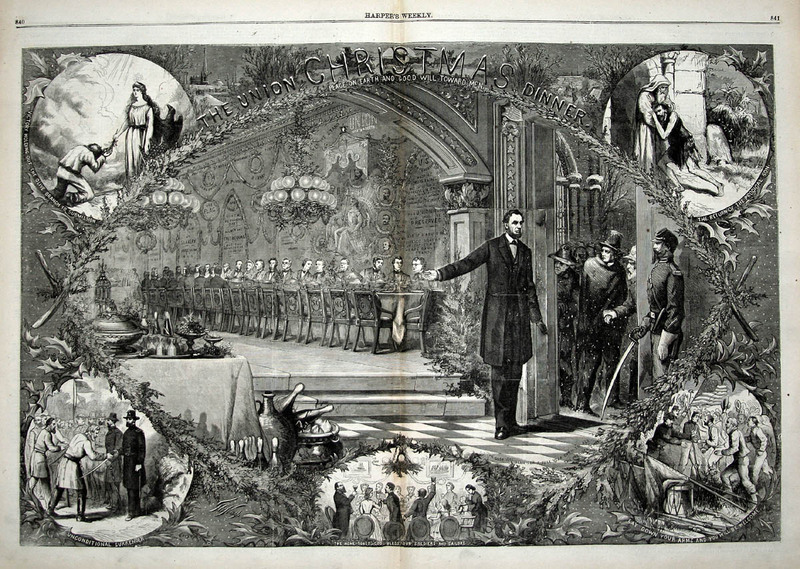 The Union Christmas Dinner by Thomas Nast. Harpers December, 1864. Christmas 1864 In the span of a year things had changed radically. While the North had not yet won, and the ultimate outcome was not yet certain, everywhere it seemed that Union forces were advancing inevitably onward to a final conclusion. Robert E. Lee and the Army of Northern Virginia were closely besieged at Richmond and Petersburg. General Sherman was advancing with fire and sword like an avenging demon through Georgia. 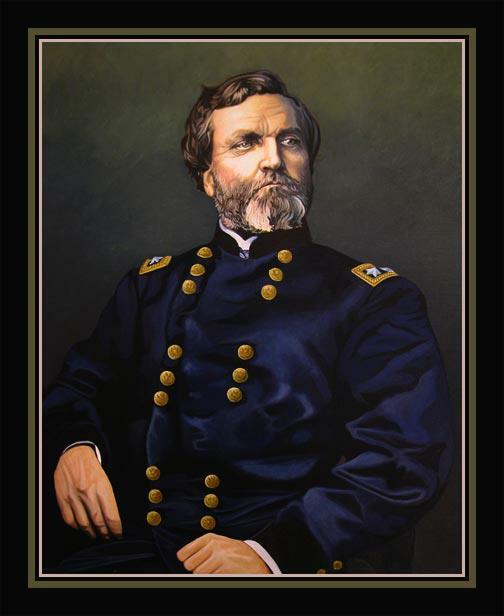 Only at Nashville did it seem that a glimmer of hope remained for the Confederacy, where Hood and the Army of Tennessee were besieging General Thomas’s Army of the Cumberland at the beginning of December. With most Confederate ports now in Federal hands, the Union naval blockade was choking off not just war supplies but civilian necessities as well. It was a difficult Christmas for many, even in the North. It was a winter few on either side would ever forget. Varina Davis, the beautiful and sympathetic wife of the Confederate President, gave a vivid description of the Christmas of 1864 in Richmond. Varina Davis, the wife of the Confederate president, left a vivid portrait in the besieged capitol that last Christmas of the war. 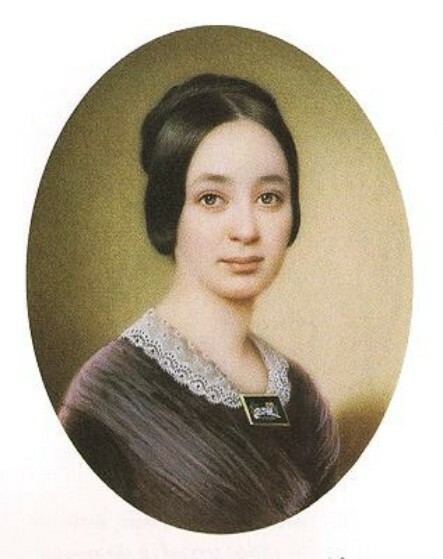 For her, the deprivations of the children were what pained her most: “For as Christmas season was ushered in under the darkest clouds, everyone felt the cataclysm….but the rosy, expectant faces of our little children were a constant reminder that self-sacrifice must be the personal offering of each member of the family. How to satisfy the children when nothing better could be done than the little makeshift attainable in the Confederacy was the problem of the older members of each household.” In the city was an orphanage for children of soldiers killed in the war and for those already short of everything, a special effort was made to provide them with some sort of Christmas cheer. The Davis’ house servant, Robert Brown volunteered to make by hand a doll house from scratch, “a sure enough house, with four rooms,” he called it. It would be a “pretty prize” for the “most orderly girl” among the orphans. In Richmond, the belles, Varina Davis tells us, were, “fragile as fairies, but worked like peasants for their home and country.” Godey’s Ladies Book was the arbiter of women’s fashions, North and South. 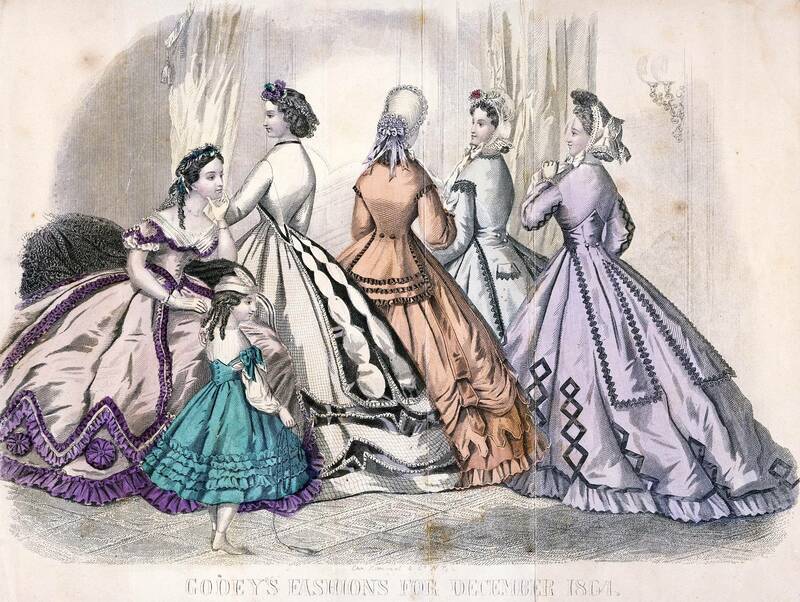 This is an illustration from the December 1864 issue showing Christmas dresses. General John Bell Hood, whose aggressive temperament is what Jefferson Davis wanted in the West, attempted to turn the tide of war in a bold invasion of Tennessee in the Fall and Winter of 1864. It proved a tragic failure. 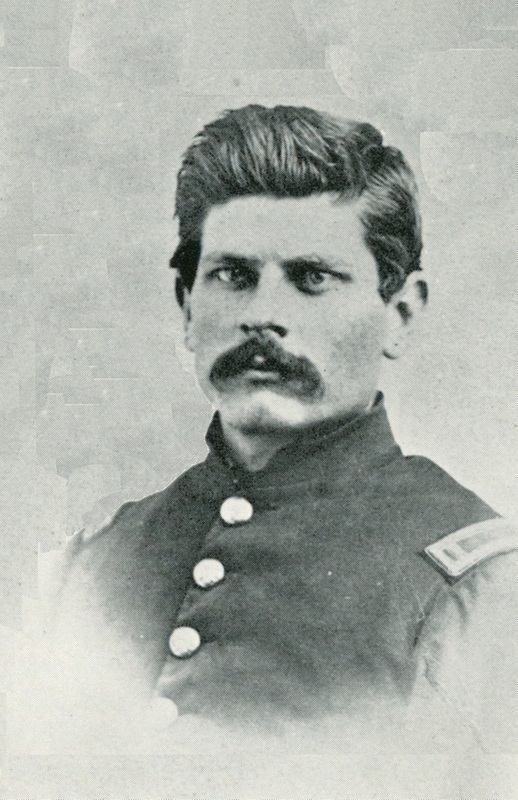 Lt. Ambrose Bierce, future journalist, editor and author, was one of the “barbarous Yankees” besieged by Hood’s Army of Tennessee in Dec. 1864. Holed up in the Lawrence Mansion, overlooking Granny White Pike, Bierce and his fellow staff offers did not want for either the necessities—or a few luxuries for that matter. Old “Pap” Thomas’s army was ensconced behind a belt of fortifications and were sitting on a mountain of supplies. Despite the large number of troops stationed within, the Federals had ample resources at their disposal. The same could not be said for their ill-fed, ill-clothed and ill-supplied besiegers. In truth, as the days dwindled down in December, it became clear that General Hood had the Yankees just where old Pap Thomas wanted them. Finally on the fifteenth of December, General George Thomas unleashed an onslaught against the Rebel army the likes of which had not been seen before in the war. Over two days pounding, the outnumbered Confederates resisted bravely but their cause was doomed. It was a battle of annihilation; by the end of the battle the Army of Tennessee was in tatters, demoralized and had virtually ceased to exist as an army. It was said that the road southward that Christmas was marked in red—the trail the bloody feet of the shoeless Rebel survivors left in the snow as they fled back to Alabama. For the Union troops it was a joyous time; but it was a cheerless holiday for those Southern troops still alive to mark its passage. 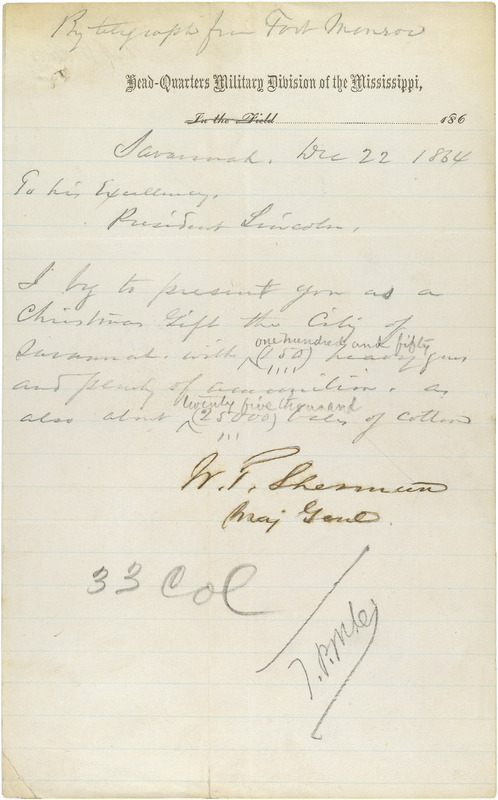 In December, 1864, General Sherman presented the city of Savannah as his “Christmas Present” to President Lincoln. There could have been no greater contrast this Christmas between North and South. While the North could look forward to the New Year with hope and good cheer, in Dixie, except among the long suppressed loyal white population and African Americans on the verge of liberation, this Christmas was a hard one with a future that seemed dim indeed. 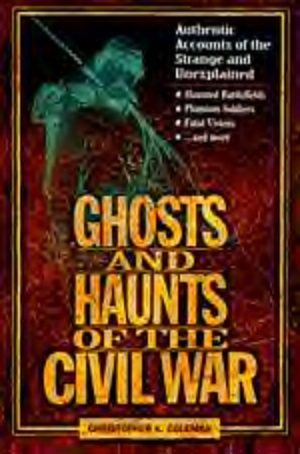 For a more esoteric view of the Civil War, see Ghosts and Haunts of Tennessee and my latest effort, The Paranormal Presidency of Abraham Lincoln. Now in print is Ambrose Bierce and the Period of Honorable Strife, chronicling Ambrose Bierce’s war career with the 9th Indiana and the Army of the Cumberland. 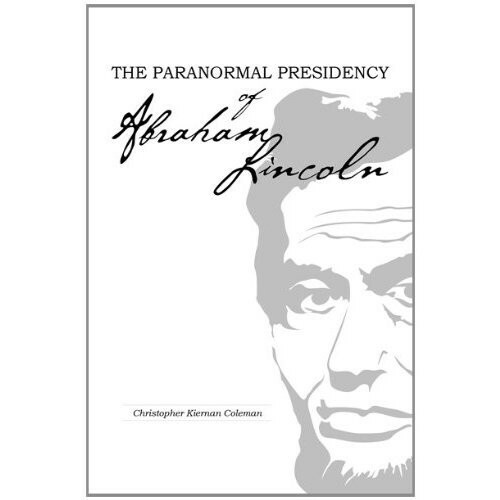 The Paranormal Presidency of Abraham Lincoln.